As awesome as the Celestial Seasonings tour was, the true tea highlight of our trip to Colorado was the Dushanbe Teahouse in Boulder. 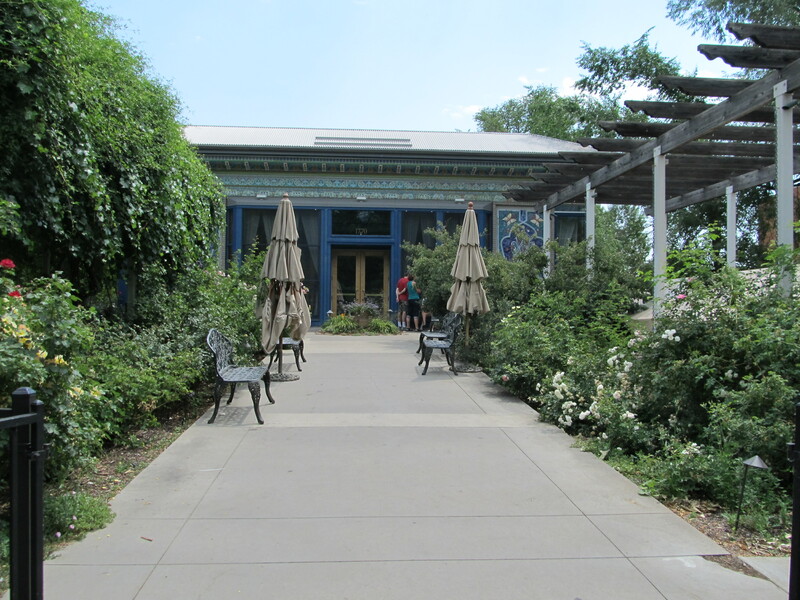 The teahouse — and all its incredible interior decor — was created by craftsman and artisans in Dushanbe and shipped, piece by piece, to Boulder. The Dushanbe Tea House would be worth a visit just for the stunning detail of the building itself. But it has the added benefit of having the most extensive tea menu I’ve ever seen and fantastic brunch options to boot. It was so good we went back a second time. The Mandarin Puerh was outstanding, and the house Chai was the best I’ve ever tasted. 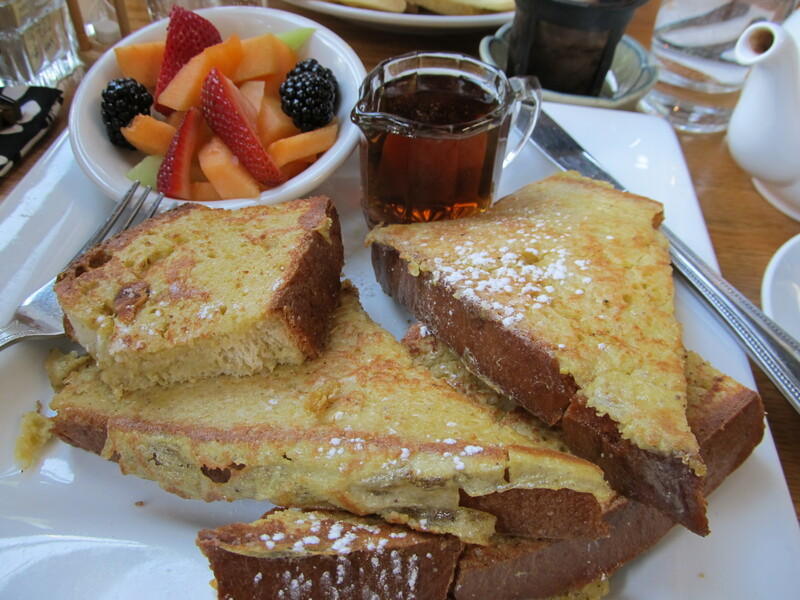 The Orange Foccacia French Toast came highly recommended by my cousin-in-law C., and it completely lived up to its family reputation. 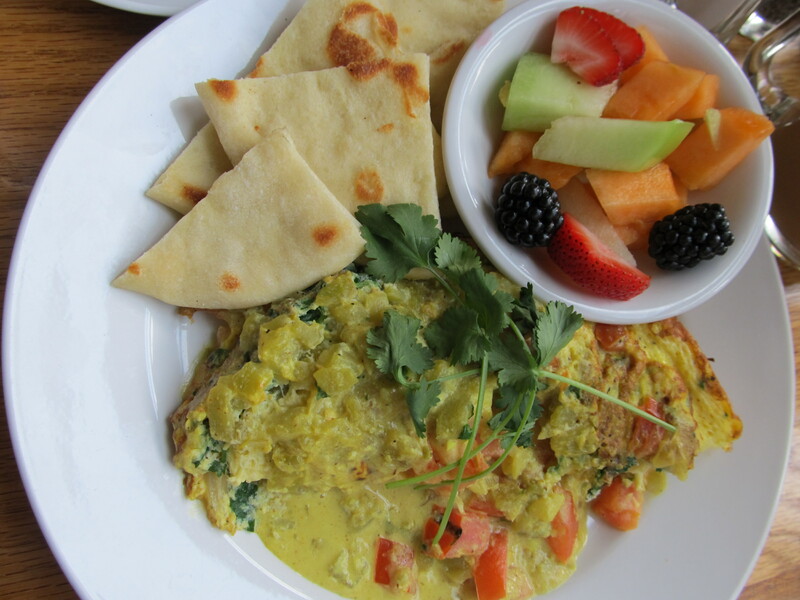 For our second dish, we went with a wildcard, the Indian Curry Omelet. Both were delicious! I wish I was back in Boulder, even if just for breakfast. This entry was posted in Tea, Travel. Bookmark the permalink.